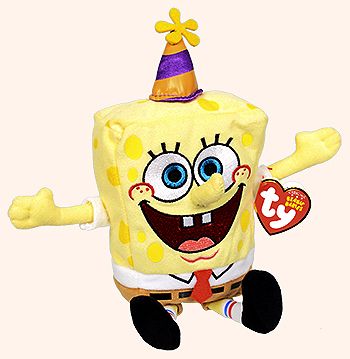 In April 2012, an unusual SpongeBob Birthday was discovered by an astute collector at a Hallmark store in Rockville, Maryland. 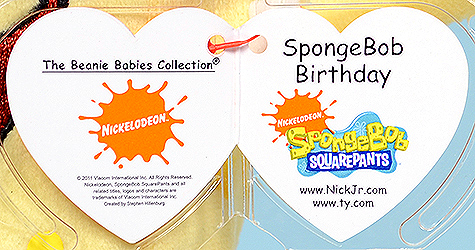 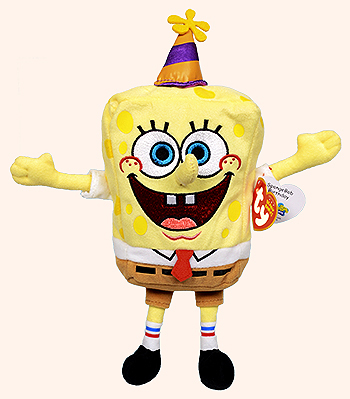 This SpongeBob Birthday has an 18th generation swing tag and a 15th generation tush tag but the body design matches the older original versions of SpongeBob. 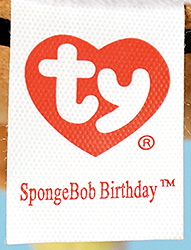 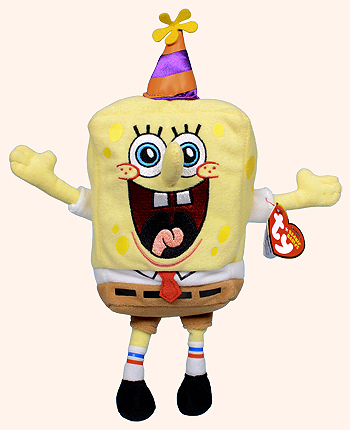 We don't know if this is the new official design for SpongeBob Birthday, or a factory error.